It’s a bit off the beaten path but well worth the trek to North Falmouth. Chef/owner Jonathan Philips and his wife Jill have done it again. 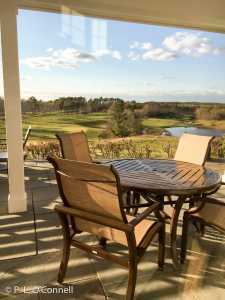 Their flagship restaurant C Salt, on Davis Straits in Falmouth is among the finest on the Cape and now they have opened their newest venture the TGC Grille at The Golf Club of Cape Cod in North Falmouth. Both locations are trendy, Cape Cod restaurants and wine bars, blending American Cuisine with French and Asian influences. The restaurants feature full bars along with various wine and food pairings to accommodate a variety of tastes and budgets. C Salt Wine Bar & Grille and the TGC Grille specialize in exceptional food, an extensive wine list and great service. 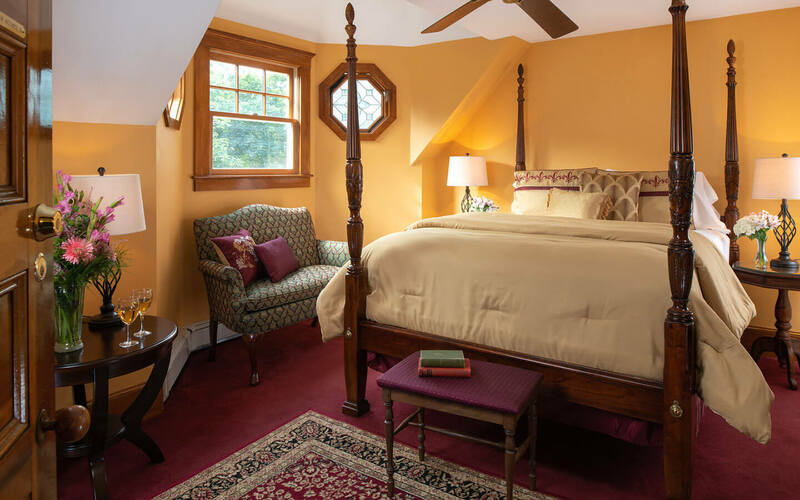 The Golf Club of Cape Cod partnership with Falmouth’s acclaimed, award-winning C Salt Wine Bar & Grille provides members and their guests with exemplary service, a relaxed atmosphere and exceptional food. 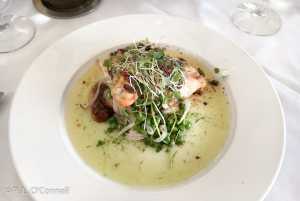 From a masterfully prepared three-course meal to the new lunch and light fare menu the Grille is outstanding but the best part is that it is open to the public. Diners are invited to make reservations to dine. Casual elegance and world-class meals are the hallmarks of the dining experience. Chef Philips’ menu for the TGC location will be different from the original Falmouth location, but the concept of Contemporary American Cuisine with French & Asian Influences will remain consistent. Don’t be surprised ,however, if some of his signature dishes can be found across town. Pre-opening night party in the dining room at the TGC Grille. Cape Cod evokes, a casual, relaxed atmosphere that is an important element of the TGC Grille’s mission. The casual atmosphere gives the diner the opportunity to escape the busy life. This presents a challenge to traditional dress code policies. At TGC, members, and guests are permitted to wear denim at lunch and on casual nights. It is only on Friday and Saturday evenings that traditional country club casual attire is required. Reservations are strongly recommended. We will happily assist you in having a table reserved in your name while you are in Falmouth. Please call us at 508-548-1230 and one of us will help you. As Executive Chef at TGC prior to establishing C Salt Wine Bar & Grille in Falmouth, Chef/Owner Jonathan Philips made a name for himself among Falmouth locals and tourists. 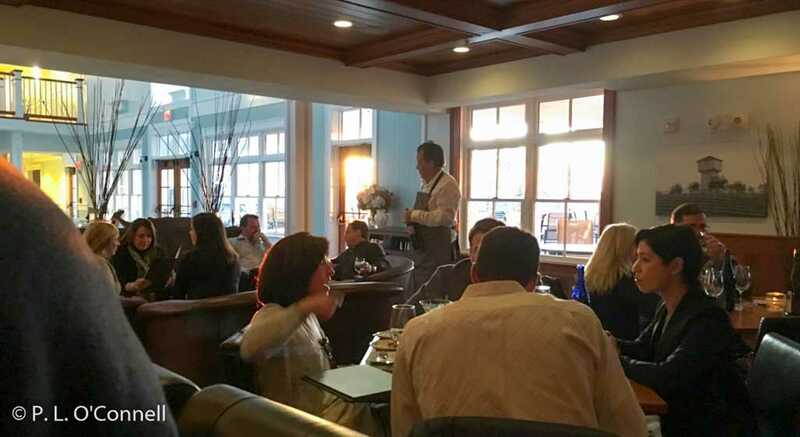 In 2015, Boston Magazine recognized C Salt as “Best Cape Cod Restaurant” and with the aid of Maitre d’/Sommelier Errol Joseph, Wine Spectator Magazine gave C Salt’s Wine Program it’s prestigious “Award of Excellence”. 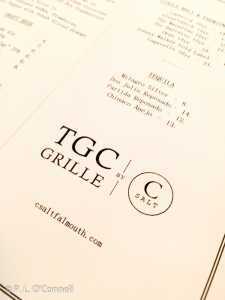 “TGC Grille by C Salt is a second C Salt concept open seasonally from mid-April through October. While the golf course remains private, TGC Grille by C Salt offers lunch & dinner to the public. Reservations are encouraged. Turn right as you exit the driveway. At the blinking yellow light turn right onto Route 28. Follow Route 28 until you come to Route 151 towards Mashpee/Hyannis/New Seabury. Turn slight right onto MA-151/Nathan Ellis Highway and follow for 1 mile. Turn right onto Falmouth Woods Road. We will happily assist you in having a table reserved in your name while you are in Falmouth. Please call us at 508-548-1230 and one of us will help you.